__cfduid 1 Year HTTP Used by the content network, Cloudflare, to identify trusted web traffic. __sharethis_cookie_test__ Session HTTP This cookie determines whether the browser accepts cookies. fv7wr1fhbcvc1poyjiov4lb Persistent HTML Used by the content network, Cloudflare, to identify trusted web traffic. _ga 2 Years HTTP Registers a unique ID that is used to generate statistical data on how the visitor uses the website. _gat 1 Day HTTP Used by Google Analytics to throttle request rate. _gid 1 Day HTTP Registers a unique ID that is used to generate statistical data on how the visitor uses the website. st_shares_# Persistent HTML This cookie determines whether the browser accepts cookies. ads/ga-audiences Session Pixel Used by Google AdWords to re-engage visitors that are likely to convert to customers based on the visitor’s online behaviour across websites. HTTP Registers a unique ID that identifies a returning user’s device. The ID is used for targeted ads. rc::a Persistent HTML Used in context with video-advertisement. The cookie limits the number of times a visitor is shown the same advertisement-content. The cookie is also used to ensure relevance of the video-advertisement to the specific visitor. 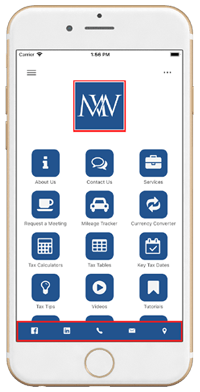 7.1 This website is owned and operated by Makesworth Accountants. 7.2 We are registered in England and Wales under registration number, and our registered office is at Unit-101, First Floor, Cervantes House, 5-9 Headstone Road, Harrow, Middlesex, HA1 1PD. 7.3 Our principal place of business is at Unit-101, First Floor, Cervantes House, 5-9 Headstone Road, Harrow, Middlesex, HA1 1PD.